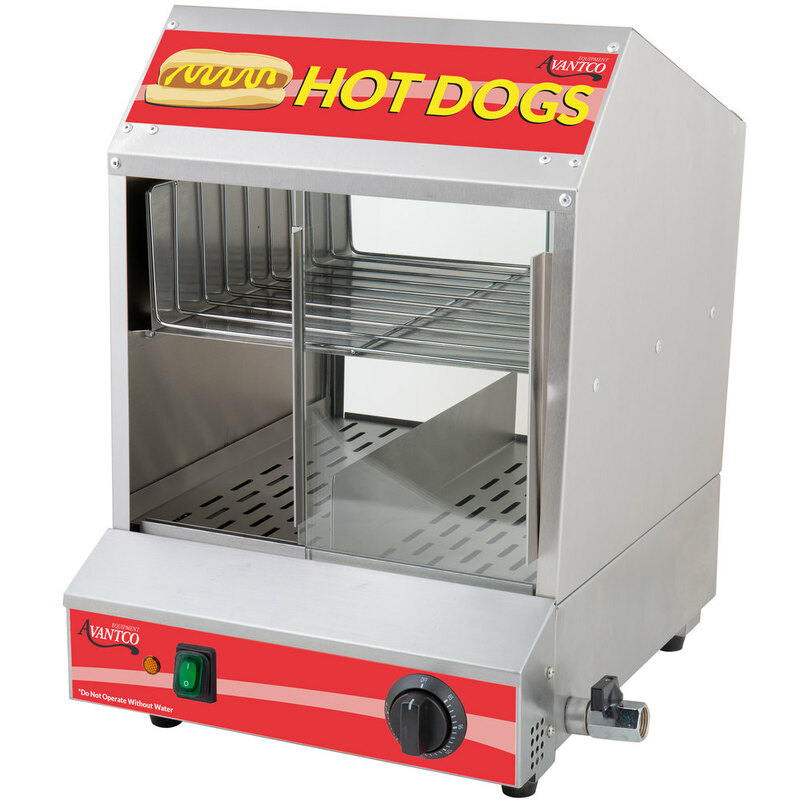 An excellent addition to snack bars, stadiums, vending carts, and concession stands, this Avantco HDS-175 hot dog steamer is a great way to add hot dogs to your menu and boost impulse sales! 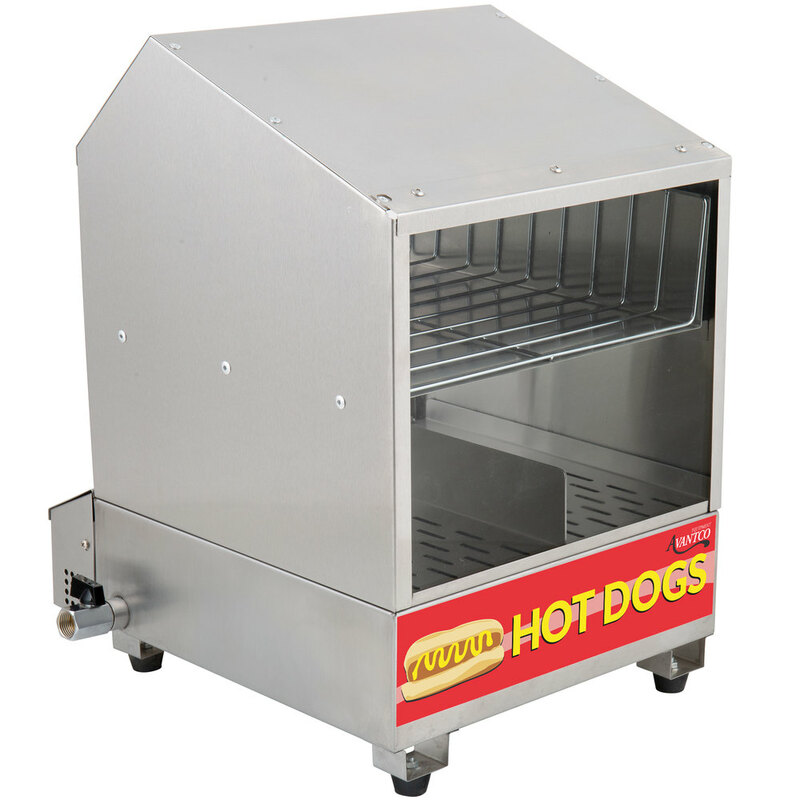 The unit's spacious design steams and holds up to 175 pre-cooked hot dogs and 40 buns so you are always ready to feed hungry customers. 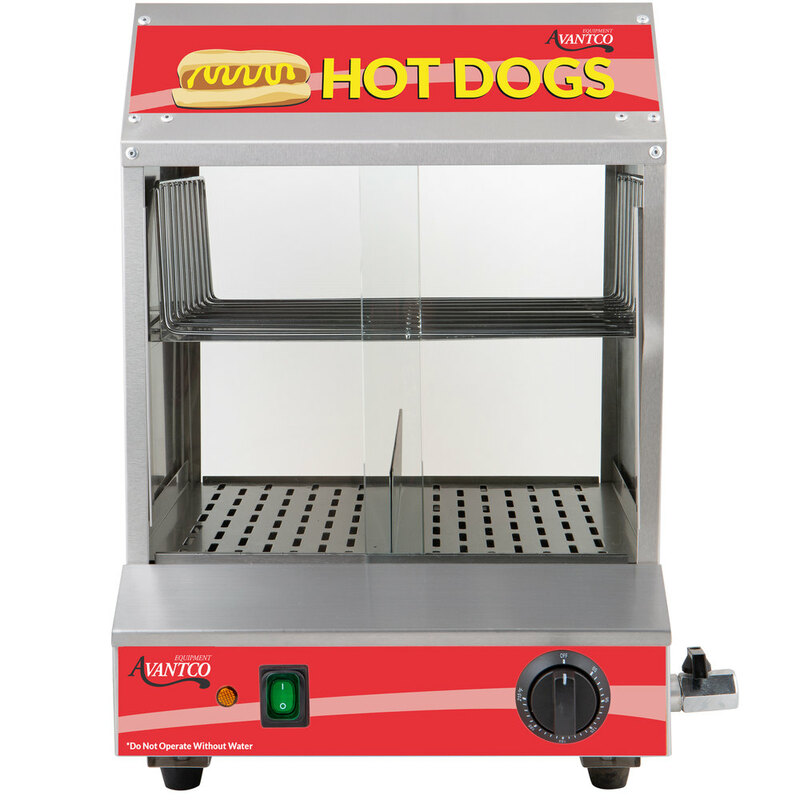 The temperature can be adjusted from 85 - 175 degrees Fahrenheit, and the divided steaming pan lets you easily adjust the steam level so that dogs are cooked to perfection and buns are always kept warm and ready to serve. 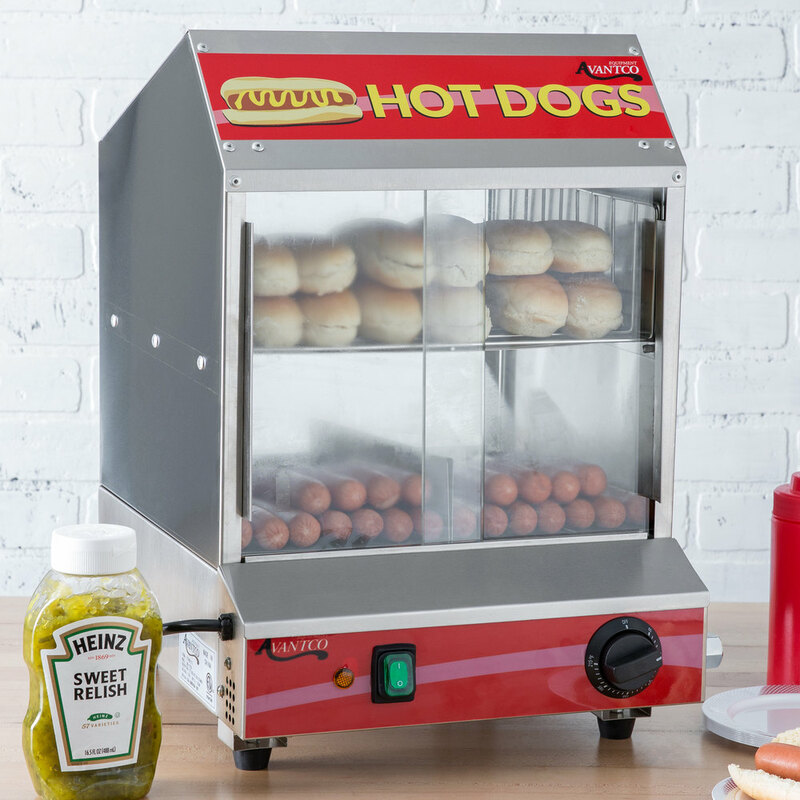 This hot dog steamer comes with an extra-large 8 qt. water pan for all-day steaming and easy maintenance. 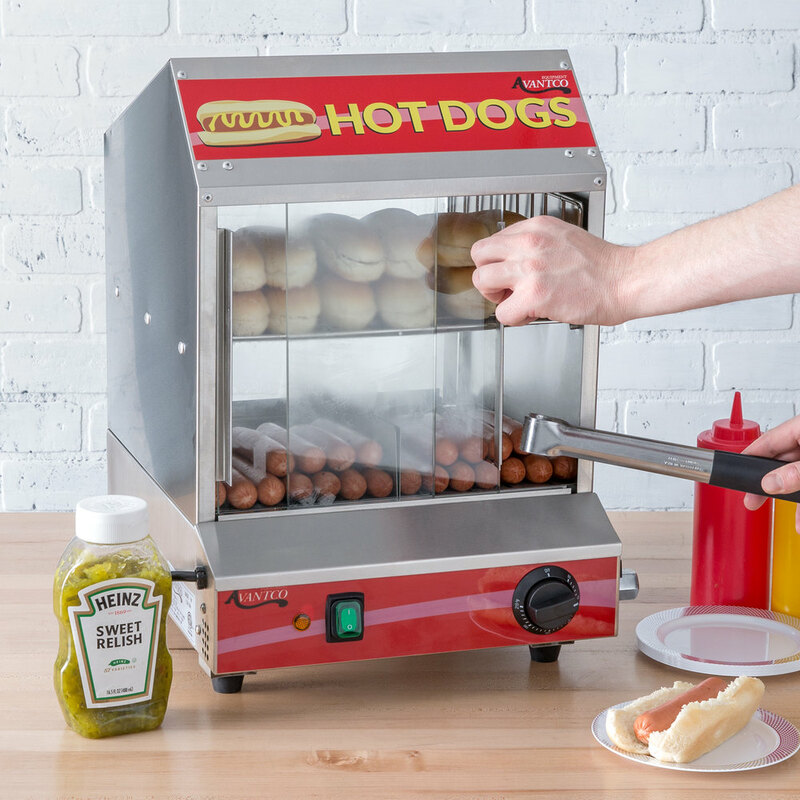 Simply fill the pan at the start of the day and set the temperature and humidity to keep your pre-cooked hot dogs warm and juicy! If the water level dips below the minimum, a low water indicator light will come on and an automatic shutoff feature will turn the steamer off to prevent damage. And since it comes with a 3/4" drain valve you can let excess water run off into a sink or other disposal area when you're done using it. 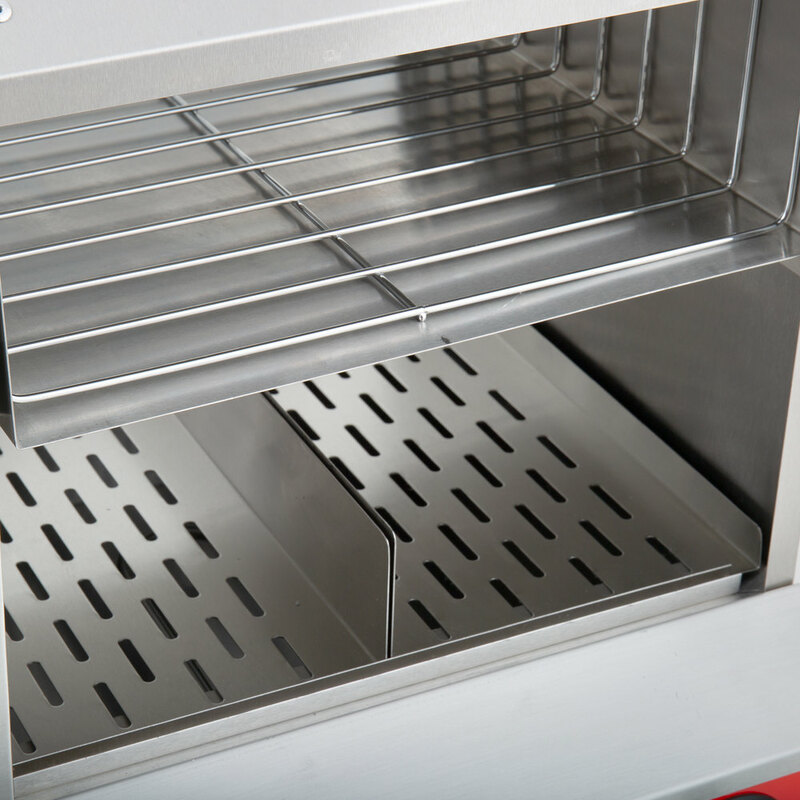 A corrosion-resistant 304 stainless steel housing gives the steamer a sleek look with the durability needed for high volume snack stands, while the tempered glass front and back give customers a clear view of your products. Two glass doors offer easy access for loading and unloading, and a side hook gives you a convenient place to keep tongs. This model requires a 120V electrical connection for operation, and it has a 59" power cord. Left to Right: 15 1/2"